These new anti-vedolizumab antibodies, which support research into the treatment of Crohn’s and ulcerative colitis, include four recombinant anti-idiotypic mAbs that are highly specific for the humanized IgG1 kappa antibody drug, vedolizumab, and are suitable for the development of bioanalytical and patient monitoring assays. 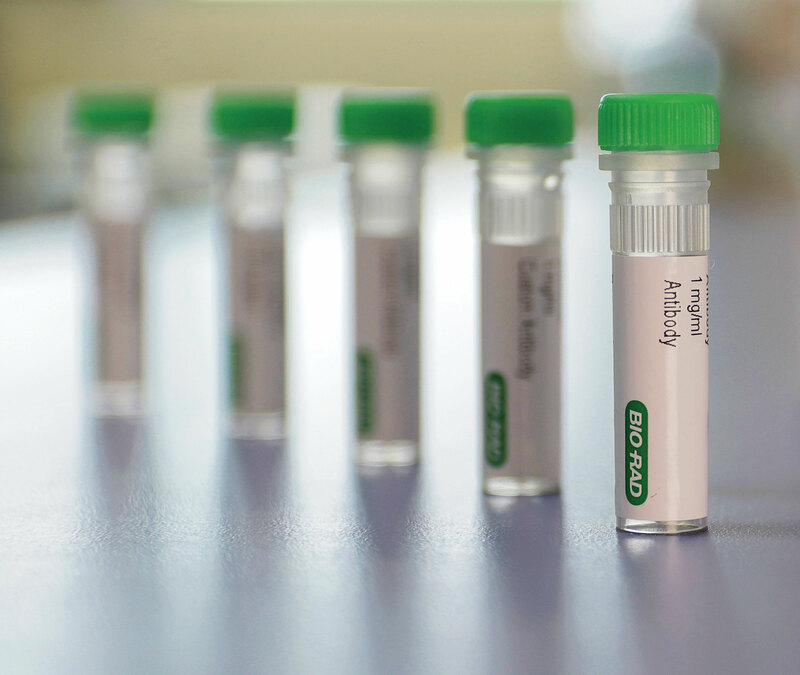 These mAbs are generated using the Human Combinatorial Antibody Library (HuCAL®) and CysDisplay®, a proprietary method of phage display, resulting in highly targeted reagents. The paratope-specific antibodies inhibit the binding of vedolizumab to its target, alpha4beta7 integrin, which makes them ideal for the development of a pharmacokinetic bridging ELISA to monitor free-drug levels, or as reference standards in anti-drug antibody assays.